This course will introduce ozone and the variety of applications that can be used in the clinical practice setting. Dr. Cochran will review the historical applications of ozone to current date and the benefits and risks of ozone applications. Participants will understand dosing for specific applications and potential usages in a clinical setting. Participants will also understand the safety profile and how to safely and effectively recommend various applications of ozone. Dr. Cochran will present successful cases that have benefited from ozone therapy. This presentation will also include a brief introduction of ozone combinations with other products and procedures such as ultraviolet blood irradiation therapy. Understand the history and applications of ozone. Understand the differences between medical ozone and other forms of ozone. Understand the evidence behind the clinical use of ozone and the pharmacology of ozone. Use ozone therapies in your clinical practice with an understanding of safety concerns. 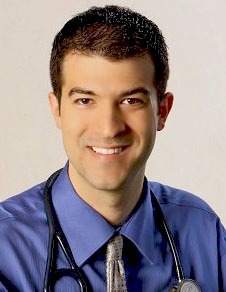 Brenden Cochran, ND received his doctorate in Naturopathic Medicine from Bastyr University. He founded Interactive Health Clinic, a family practice with specialty focuses in pain, integrative oncology, chronic disease management and intravenous therapies. He has additional training in IV therapy, Neural Therapy, Medical Ozone Injections/Applications and Master Level Training in Neural Prolotherapy. He is a Professor of Anatomy and Physiology to students training to become nurses at Everett Community College. He also teaches at Bastyr University, with a focus on Advanced IV Therapy and instructor for International IV Therapy for Professionals. He is an instructor Neural Therapy, Neural Prolotherapy and Ozone injections to doctors around the world. He also served as the medical fellow/director of intravenous therapy at the Bastyr Integrative Oncology Research Center (BIORC), Bastyr University’s cancer research center.